Mumbai: The Devendra Fadnavis-led Maharashtra government has devised a fresh plan for one last attempt to get the much-delayed redevelopment of Mumbai’s Dharavi, Asia’s largest slum sprawl, off the ground before the 2019 Lok Sabha and state assembly elections. The project, which was first conceived in 2003 and has been on every party’s agenda during every election since, has gone through two failed rounds of tendering, the last being in 2016. The approach then was to divide the 240-hectare slum sprawl into five sectors and redevelop them separately but with one master plan. Developers, however, stayed away citing high risk amid a tepid real estate market. The government now plans to take a completely different approach — combine all five sectors into one and have a special purpose vehicle (SPV), with one single lead partner, redevelop it. A chief secretary-led committee finalised the modalities of the plan in a meeting last month. “We hope this approach will work because in this model the government will also be part of the SPV,” said S.V.R. Srinivas, chief executive of the Dharavi Redevelopment Project Authority. The secretarial committee has given a go ahead for the bidding process to begin. The Dharavi Redevelopment Project Authority will have a 20 per cent stake in the SPV and will bring in an equity contribution of Rs 100 crore, says the new plan. The lead partner of the SPV will have to bring in a minimum amount of Rs 2,850 crore in share premium. An SPV by definition is a subsidiary company created for a specific objective, is tightly controlled and has a legal status that secures its obligations even if the parent company goes bankrupt. Chief minister Devendra Fadnavis has approved the allocation of Rs 600 crore from the Slum Rehabilitation Authority funds for the immediate requirement of the Dharavi redevelopment project. The housing department will put up a proposal before the state cabinet to grant special status to the SPV for speedy implementation. Moreover, the secretarial committee has also decided to transfer Dharavi’s Sector 5 — currently being redeveloped by the state’s Maharashtra Housing and Area Development Authority (MHADA) — to the new SPV. In 2012, the Congress-NCP government had given the responsibility of redeveloping Sector 5, the smallest and comparatively the easiest to revamp, to the state housing board to show some progress on the project before the 2014 polls. “The committee noted that six years on, only two buildings in the sector were complete and work on two more is underway. It has been decided to transfer the project implementation of Sector 5 as well to the new SPV company,” a state government official who attended the chief secretary-led meeting said. Simultaneously, the state government is scrambling to identify already constructed transit tenements, and vacant land to construct more as alternate accommodation for eligible slum dwellers while the redevelopment process is underway. The state government has sent a request to the Centre to transfer 45 acres of salt pan land in Mumbai’s Wadala area to the state to build transit tenements. “The transit tenements will be constructed in such a way and of such a quality that the government will be able to use them repeatedly as affordable housing. Moreover, we have identified about 4,200 existing transit tenements at various locations that can be used for the project,” a government official said. The project will be assigned a deputy collector to exclusively expedite land acquisition issues and deal with eligibility of beneficiaries. Slum dwellers living in the shanties since before 2000 will be eligible for free housing under the project. 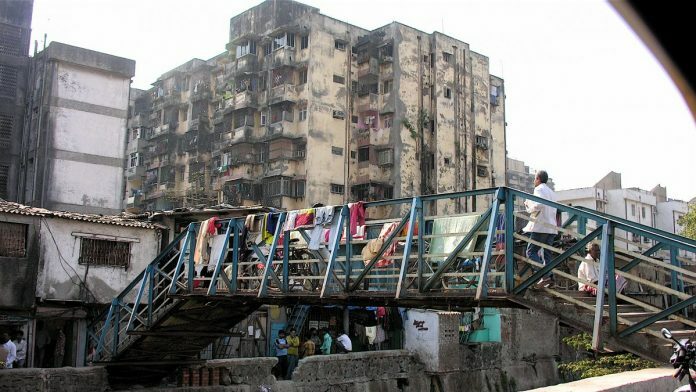 Fifteen years ago, the then Congress-NCP combine suspended the slum redevelopment scheme, a flagship of the previous Shiv Sena-BJP government in the 1990s, in Dharavi to avoid piecemeal development of such a large slum sprawl. The idea was to metamorphose the narrow congested slum dotted with cottage industries and leather tanneries into high-rises with planned wide roads, commercial areas and open spaces. The project, however, never took off due to policy flip flops, frequent design changes, differences with the original consultant, opposition by some residents and a lacklustre response from developers. The first time that the government made an attempt to tender out the project was in 2007 when the then Congress-NCP government invited expressions of interest. However, after several hiccups, and with a consultant flogging the tendering process as defective, the government called it off in 2011. In 2016, the BJP government attempted to bid out four of the five sectors of Dharavi, while MHADA continued to crawl forward on the fifth. However, despite several extensions to the bid process, developers stayed away. As per MHADA map of Dharavi, I m belongs to the sector 3 behind Sathi co-op soc. We have still waiting for redevelopment, but there is no further news about it. When this project will start.